The ORCA project hereby announces its second Open Call for Extensions. This second Open Call for Extensions focuses on the development of missing functionalities to extend the ORCA software and hardware platforms. More information on the scope of this second Open Call can be found in Section 4 of this document. ● Proposals will only be accepted from a single party. submitted multiple proposals that are ranked high enough to be selected for funding. In the latter case, the proposer may be given the opportunity to choose the one to be retained for funding. ● Parties having been selected in previous ORCA Open Calls are not eligible to participate again. End-to-end network functionality is best conceptualized using the 5 layer OSI model (Figure 1), that naturally splits the complete functionality into well-defined layers, where each layer is responsible for a well-defined set of tasks. SDR functionality typically focuses on the lowest layer of the OSI, model, emulating a full or partial physical layer on a reconfigurable platform. The advantage of SDR over “off-the-shelf” technology is that it enables a full and open implementation of all low layer functions, enabling innovation everywhere. The disadvantage is however that implementing a full PHY layer is quite complicated, and for a very long time the real-time execution of the PHY layer functionality was only possible for the slowest and simplest technologies, such as IEEE 802.15.4. Recently, SDR technology is improving, and more and more HW-accelerated SDR functionality is becoming available. As a result, SDRs can even be used for some very high throughput and advanced 5G technology, such as Massive MIMO or mmWave. In parallel, open, reconfigurable and real-time MAC protocols are emerging. As a result, SDR PHY and MAC layer technology is becoming mature enough to start considering the concept of networked SDRs. The ultimate goal of the ORCA project is to enable wireless experimenters to unlock the potential of reconfigurable radio technology, by setting up complex experiments that require control of multiple novel technologies or cooperation between multiple networked SDR platforms within 5G (or beyond 5G) performance constraints on latency or throughput, well before new radio technologies become available on the market in commercial off-the-shelf products. The ORCA project is a Research and Innovation Action under the European Horizon 2020 Programme addressing the work programme topic Future Connectivity Systems. The project started in January 2017 and runs for 36 months, until the end of 2019. The ORCA ambition is to enable end-to-end SDR networking by building SDR networks consisting of multiple SDRs, in various configurations, running multiple functionalities. Figure 1 The ORCA architecture will focus on novel PHY and MAC functionality that can be controlled and reconfigured in real- time. functionalities at runtime or design time. perform fundamental changes on the transceiver chain at system level. through live (partial) hardware and software reprogramming. ● imec (IMEC, ORCA Project Coordinator). Inter-university Microelectronics Center (IMEC) is a world-leading independent research center in nano-electronics and digital technology. IMEC's uniqueness relies in the combination of a widely acclaimed leadership in microchip technology and a profound software and ICT expertise. In ORCA, the IDLab research group of IMEC in Flanders in involved. IDLab performs applied research and development of high speed and densely deployed wireless Internet technologies and data science. TCD was founded in 1592 and is among the oldest universities in western Europe. It is recognized as the premier university in Ireland. CONNECT is Ireland’s leading research centre in Future Networks and Communications, jointly funded by the Science Foundation Ireland and by industry. CONNECT is headquarted at Trinity College Dublin. The research efforts at CONNECT can be broadly described in four themes, namely the Internet of Things, the Service-Aware Networks, the Network-Aware Services, and the Integration and Testbeds. TCD brings extensive experience in intelligent reconfigurable radios and networks, and this expertise is used in ORCA on end-to-end network operation, and to contribute in the development of low-latency operation and reconfiguration solutions. KU Leuven (KUL) boasts a rich tradition of education and research that dates back six centuries. KU Leuven is currently by far the largest university in Belgium in terms of research funding and expenditure (EUR 365 million in 2012), and is a charter member of the League of European Research Universities (LERU). The Electrical Engineering department at KU Leuven (ESAT) conducts research at a high international level. The division TELEMIC concentrates on telecommunications and microwave research, combining both strong theoretical, implementation and measurement expertise from electromagnetic propagation, antenna and RF circuit design, to telecommunication networks. In ORCA, the KUL testbed, consisting of networked real-time SDRs is made available. In addition, ESAT-TELEMIC exploits their mmWave expertise and test equipment, towards designing and realizing extensions of the Massive MIMO testbed towards mmWave. Founded in 1828, Technische Universität Dresden (TUD) is a full-scale university with 14 faculties, covering a wide range of fields in science and engineering, humanities, social sciences and medicine. TUD prides itself for its international flavour and has partnerships with more than 70 universities worldwide. Furthermore TUD is the only university in East Germany which has been granted a graduate school and a cluster of excellence in Germany’s excellence initiative. In ORCE TUD will further evolve its current testbed into a Fed4Fire compliant indoor and outdoor testbed. Main focus of the experimentation platform is on macro and small cell scenarios for low latency and tactile internet applications. NI is an industry partner in the ORCA project with a long history of designing and prototyping innovative test and measurement systems, e.g. in the RF space. Customers in nearly every industry—from healthcare and automotive to consumer electronics and particle physics—use NI’s integrated hardware and software platform. NI is also collaborating with several top researchers focused on wireless research—specifically 5G wireless communications and is also actively engaged in the 3GPP standardization. The strong expertise in RF and wireless communications will help to provide ORCA feedback on the latest technology trends and products that will lead to a better practical relevance of the results. Rutgers, The State University of New Jersey, is the largest and most comprehensive higher education institution in New Jersey founded in 1766. Wireless Information Laboratory (WINLAB) was founded in 1989 as an industry-university cooperative research centre at Rutgers University focusing on wireless technology. In ORCA the WINLAB develops functionalities for massive MIMO and cloud RAN and improves support for various radio platforms that are available in ORBIT. Martel is an innovative SME specialized in the management, dissemination, communication and promotion of international collaborative EC projects, with focus on ICT, Smart Cities and Future Internet. Martel leads the Communication, Dissemination and Exploitation work package playing a key role in the perspective of promoting the project outcomes and engaging a high number of experimenters in adoption of the ORCA’s concepts and technologies. Martel also assists IMEC in the management and coordination of the various project’s administrative activities. One of the ORCA ambitions is to introduce advanced SDR functionalities in a number of Fed4FIRE compliant test facilities. 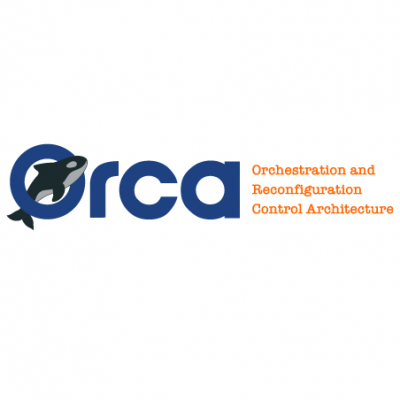 The ORCA facility is the collection of wireless testbeds supported by ORCA hosting advanced SDR platforms, together with the code repositories and toolsets needed to generate ORCA SDR functionalities. The ORCA SDR functionalities and testbed are described in the next sections. An overview of the main SDR functionalities supported in the ORCA project is given below. For more detailed technical information, we refer to Deliverable 2.2 (https://www.orca- project.eu/resources/deliverables/) and the leaflets on the ORCA website (https://www.orca- project.eu/orca-functionalities/). ORCA targets real-time end-to-end operation of SDR devices addressing technologies and scenarios as proposed in 5G or beyond, such as massive MIMO, mmWave, full duplex communication in dense networks, coexistence and interworking between multiple RATs, and mission critical communication. At the PHY level, ORCA follows a HW accelerated SDR approach, and brings computationally intensive processing units like FEC encoder, IFFT and pulse shaping filtering down to the FPGA which increases computational throughput, required for real-time operation. PHY layer functionality is further improved to support new waveform modulation. By adding a control plane, ORCA aims fully leverage the flexible SDR functionality offered by the date plane for coping with a wide diversity of contexts and traffic demands. ORCA extends the SDR control plane with a diverse set of configuration, parameterization and monitoring functionalities that can be run and controlled at different levels of the protocol stack and on different resources of the SDR computational architecture. The offered functionalities include parameterisation interfaces of well-established RAT (Radio Access Technology) standards, runtime configuration and composition of PHY and MAC schemes in the same radio hardware resource, advanced monitoring tools for increased context-awareness, and physical resource slicing allocation and coordination mechanisms. ORCA targets to bridge the gap between SDR and SDN and hence moves away from the context of one physical wireless network infrastructure for dealing with multiple traffic classes towards the virtualization of a network infrastructure into multiple independent slices, with each slice customized with the most appropriate PHY, MAC and network protocols and schemes for dealing with its respective traffic class. ● over the air: in this case, configurations and code updates are part of the solution under test and hence updates are also possible when the SDR hardware is disconnected from the testbed backbone and only has a wireless connection. Within the ORCA project diverse testbed facilities with complementary capabilities to enable innovative communications research are offered. In total 6 testbeds are available for experimentation by ORCA partners or by Third Parties selected via the Open Calls. In the following subsections all testbeds are briefly described focusing on major experimentation use cases as well as the general system features. For more detailed technical information on the testbeds, please refer to https://www.orca-project.eu/open-calls/. ● Testbed allows for indoor home, office, and industrial environment scenarios, as well as for mobile scenarios with up to 16 mobile robots. ● Support of heterogeneous scenarios involving multiple wireless technologies (WiFi- ZigBee coexistence, LTE-WiFi coexistence and load balancing, coexistence between LWPAN technologies). ● Testbed provides facilities for runtime reconfiguration of processing units of transceiver chain, as well as mechanisms for updating of MAC and networking protocols. ● Testbed includes various SDR platforms like Ettus/NI USRP, Xilinx Zync, WARP v2, as well as tools for MAC design and runtime MAC control (TAISC) and control and management SW architectures for IoT devices (GITAR). ● Testbed is designed to be portable, i.e. it can be flexibly deployed in other locations (e.g. for measurements and experiments in other environments). ● From an architecture point of view, this testbed is identical to the w-iLab.t testbed (IMEC). ● Testbed provides facilities for heterogeneous indoor and outdoor experimentations with up to 400 nodes (9 sandboxes and outdoor deployment) that can be interconnected into specified topologies. ● Testbed includes various SDR platforms like Ettus USRP (N210, X310, B210) , Nutaq Zepto SDR as well as WARP v1. ● Network provides a configurable mix of off-the-shelf wireless technologies, e.g. high- speed cellular (WiMAX, LTE) and 802.11 wireless access in real-world settings. ● Testbed provides facilities for runtime reconfiguration of processing units of transceiver chain as well as mechanism for updates of MAC and networking protocols. ● Testbed provides facilities for (static) indoor scenarios with up to 16 ceiling mounted USRP units, and approximately one dozen additional N- and X-series USRPs. ● Radio hardware is virtualized to support the experimental investigation of the interplay between radio capabilities and networks, e.g. allowing the combination of various physical layer approaches into coexisting or coherent networks. ● Platform is connected to a private computational cloud, allowing to deploy an array of computational environments. ● Testbed enables a wide range of dynamic spectrum access and cognitive radio experiments and provides a highly flexible architecture for real-time radio reconfigurability. ● Support of research on alternative waveforms (e.g. OFDM and FBMC), adaptive duplexing as well as adaptive network architecture demonstration (e.g. alternate between D2D and fixed infrastructure). ● Wide range of reconfigurable parameters like carrier frequency, transmit power and receive gain, modulation and coding scheme, resource blocks accessible from MAC layer, e.g. for scheduling experimentation. ● Real-time indoor multi-node testbed with up to 45 USRP nodes jointly operating in distributed environments allowing for Massive MIMO and dense networks experiments. ● Testbed includes sub-6 GHz links as well as mmWave link extensions (2x8) to create a 16 node mmWave mesh networks or 1 8x8 mmWave link. ● Testbed supports 802.11af / WiFi based networks that can be extended to Massive MIMO as well as the own developed IEEE 802.15.4 CLAWS platform. All of the testbeds are installed in either office environments or other dedicated testbed environments. Because some research requires doing measurement campaigns or actual testing in heterogeneous environments, the ORCA project also offers a portable testbed to the community that can be deployed at any location, enabling experiments in real life environment involving real users in a big variety of scenarios. The experimenter can use one user account to access all ORCA testbeds, including the portable testbed. The same user account can be used to access all Fed4FIRE testbeds.